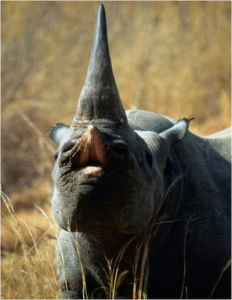 WildTrack‘s ConservationFIT project is going to be working with the Namibian Rhino Custodians in June and July to help them set up a cost-effective rhino monitoring programme, using FIT from JMP from SAS as the analytical core. Image data from the programme will be used by SAS to develop deep learning image-filtering and classification systems. Technology can help save rhino, but more than this we need YOUR help to spread the news about ConservationFIT and help us get the support to translate these first few footprints into a sprint to save endangered species before they disappear.